Salt has been a prized substance for thousands of years across different cultures and continents; however historical trends in salt consumption have been changing in recent decades. 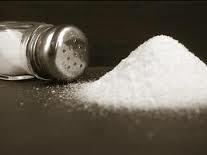 It has been theorized that during the Paleolithic era humans consumed far less salt than what is recommended today. In the modern age, salt has become a household product which a majority of Americans consume more than twice the daily recommended value. Excess salt and sodium has been blamed for a variety of serious health conditions such as heart disease, hypertension, and stroke. Sodium, one of the key compositional components of salt, is an integral part of body chemistry in all animals. Useful for maintaining extracellular environments and metabolism, sodium is also responsible for activating neural impulses for intercellular communication. It is apparent that a balanced salt intake is necessary for optimal health, so why are so many suffering from salt imbalances? The answer to this question is twofold. First, one must consider the marketability of salt in the current global dynamic. In the age of consumerism, companies are rewarded financially by increasing the appeal of their products. In the case of food, this often means adding hidden salt or sodium to marketable food products. Without realizing it, many Americans are unknowingly consuming hidden amounts of salt and sodium. Secondarily, these same companies utilize cheap and efficient means of salt production. This often means using environmentally harmful mining or extraction procedures which involve exposing salt deposits to chemical contamination. In addition, raw salt is refined through a process called ionization which effectively strips the salt of trace elements and minerals attached to the salt. 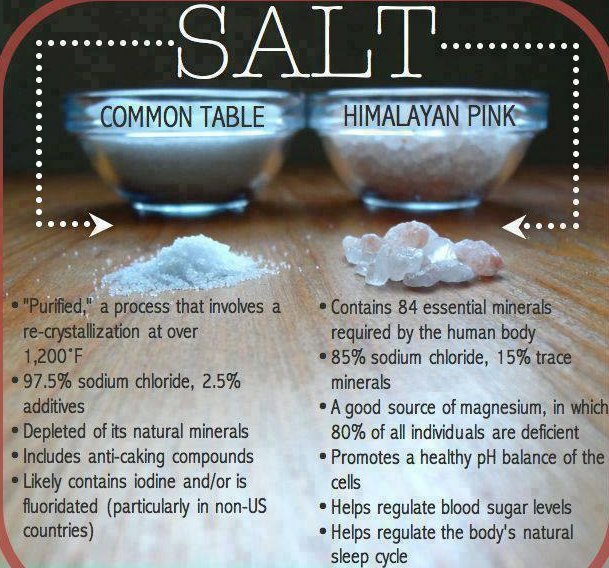 Without these trace minerals, the salt is not as easily absorbed and utilized in the body. This results in an excess of sodium in the body which cannot be sweated or urinated out quickly enough to maintain homeostasis. In effect, the average American is consuming a high degree of processed salt, continuously upping the risk of heart disease and metabolic issues they may experience. Luckily a simple solution exists to counteract this problem. First, an awareness must be cultivated in regards to salt consumption. This involves checking nutritional information in processed or prepared foods and keeping track of daily consumption. In addition, one could begin using uncontaminated non-iodized salt. Luckily, one of the largest salt deposits in the world is also one of the most well preserved from ancient times. Millions of years ago, the present day subcontinents of India and Eurasia collided, slowly pushing primal ocean beds higher. 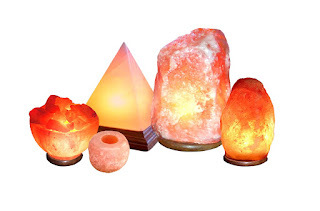 Trapped under tremendous pressure for millennia, this Himalayan salt is well preserved and uncontaminated at the base of the Himalayan Mountains. 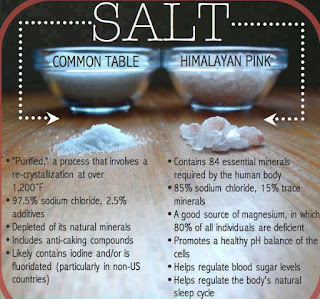 The composition of this unique salt has one of the world’s highest concentrations of 84 minerals and trace elements, containing the same nutritional elements our bodies require for health. 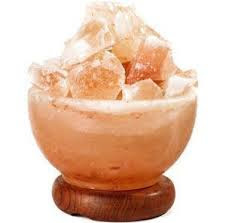 Adding Himalayan salt to your diet will work wonders in regards to cardiovascular, respiratory, metabolic, and neural health. The trace minerals in this salt allow the body to process, store, and access mineral deposits in the body, even increasing water retention. At The Om Shoppe &Spa we carry a variety of Himalayan salt products to suit any of your health needs. Stop by to pick up a bag of gourmet Himalayan salt or a small salt on the go container for your traveling purposes. Don’t forget, salt can be applied topically and absorbed through the skin. Try a Himalayn salt deodorizing egg or a Himalayn salt exfoliating bar. 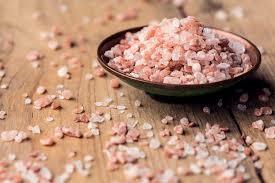 We also carry Himalayan bath salt, the perfection addition to any bath! A variety of Himalayan salt products available at The Om Shoppe! 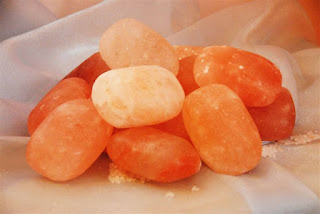 Stop by and see what Himalayan salt can do for you!